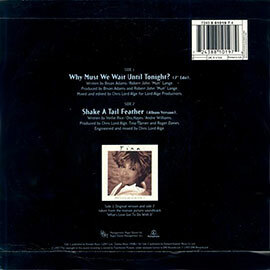 "Why Must We Wait Until Tonight" is a single from Tina Turner's album "What’s Love Got To Do With It?". 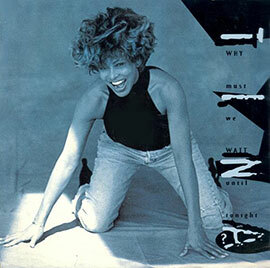 This song was written and produced by Tina’s old time friend Bryan Adams and his co worker Robert John Lange. "Why Must We Wait Until Tonight" is a sensual R&B love song. The song is about making love and why should they wait until tonight? This song is a different kind of R&B song and not the kind we were used to. 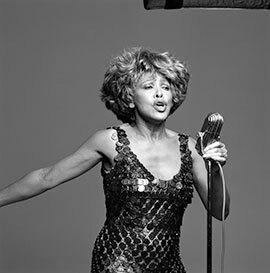 Tina’s vocal sure shines like the sun again, although most people really should consider to listen to it when the moon is up. Here is the official video for the song. We haven’t got any promotional tv show performances of this song. As far as we know it doesn’t exist. 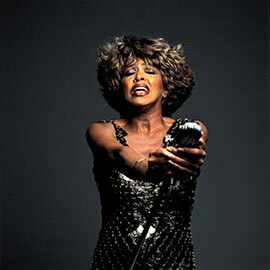 Tina has performed it live on certain venues during the What’s Love Live Tour 1993/1994. We do have a video of Tina performing it live but not singing live. It was shot in San Bernadino 1993. The video served as a second promotion video for the song. This concert was officially released on VHS. We still hope they will release it on dvd or Blu Ray. 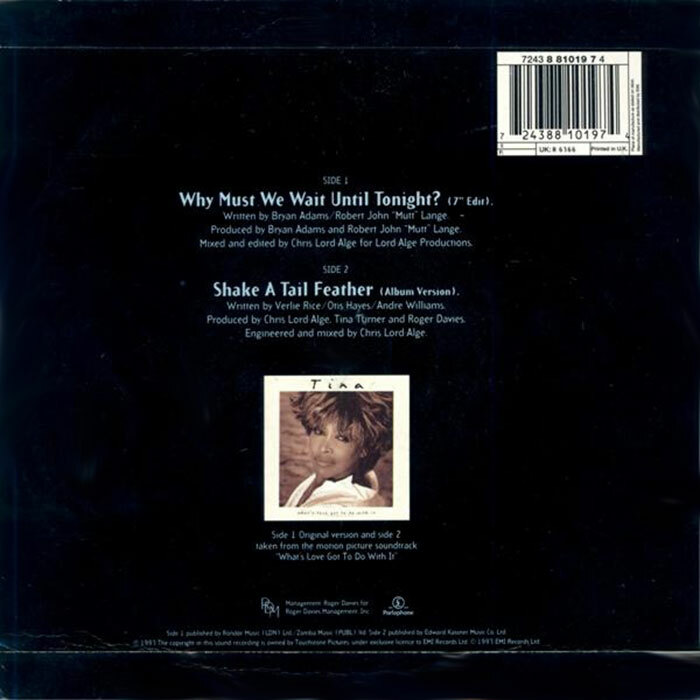 The B-side of this 7" is "Shake A Tail Feather" (Album Version). "Why Must We Wait Until Tonight?" Tell me why didn't you ask me baby? Or didn't you think I could? Why didn't you ask me baby?